French officer and hero of the American Revolution, Lafayette inspired Valcourt to create their newest high efficiency wood fireplace. 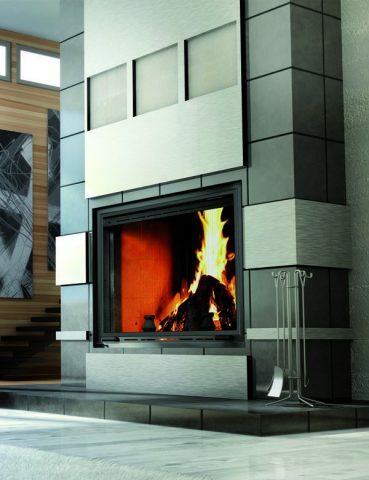 Lafayette meets the highest EPA emissions requirements, making it the fireplace of choice for the new generation of consumers who want to use wood as a renewable and clean source of heat. 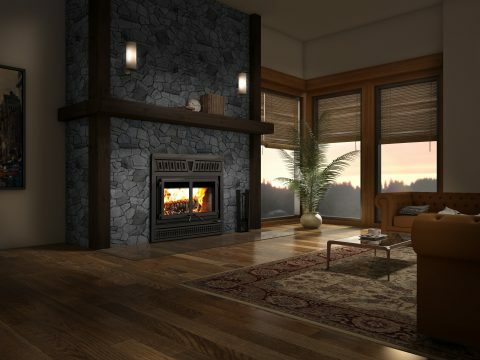 (*) Recommended heating area and maximum burn time may vary subject to location in home, chimney draft,heat loss factors, climate, fuel type and other variables. The recommended heated area for a given appliance is defined by the manufacturer as its capacity to maintain a minimum acceptable temperature in the designated area in case of a power failure. * The information given on the certification label affixed to the appliance always overrides the information published in any other media (owner’s manual, catalogues, flyers, magazines and/or web sites). ** Some appliances have been tested with a low ceiling. If necessary, consult the owner’s manual for information on these clearances to combustible materials.